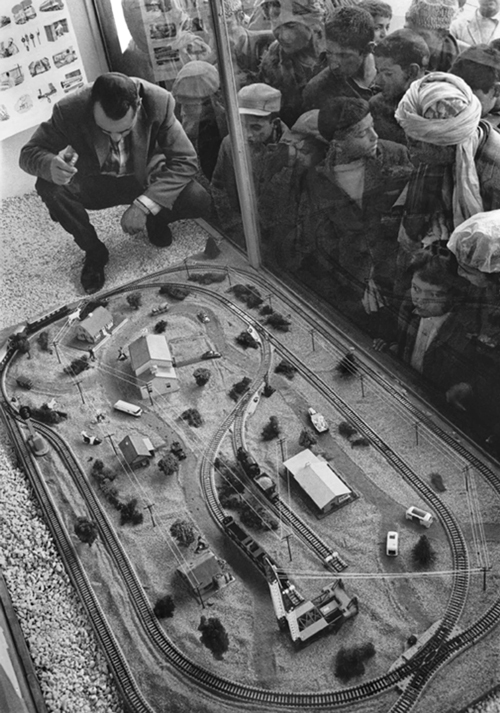 In Small Things Remembered » A model train set on view at the USIS Cultural Center. Afghan children who saw it. Courtesy of the National Archives Still Picture Unit. 306-PSD-64-2051.